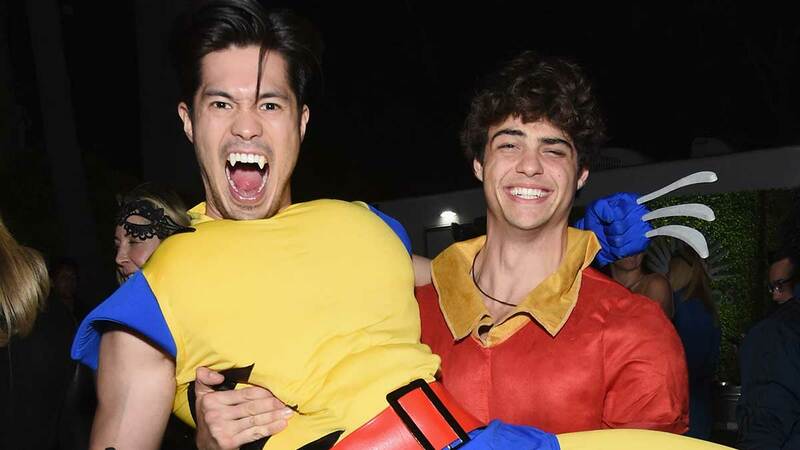 Two of our fave heartthrobs, Noah Centineo and Ross Butler, are going to be in a film together! *Breathes heavily* Ross will play the role of Trevor, Peter K's best friend, in the To All The Boys I've Loved Before sequel called P.S. I Still Love You. The second installment of the movie series is still based on the books by Jenny Han. 1. When they ~hung out~ for Ross's To All The Boys casting announcement! Noah and Ross lounging around on a couch, holding phones to call...us? Yes, please! "Ross Butler, everybody, on To All The Boys!" Ross even posted a video of them having a dance-off on Instagram! It looks like these two really love to dance together! On IG stories, Lana Condor aka Lara Jean said, "We've added another hooligan to our cast. You fit in perfectly, Ross Butler!" Noah also posted the video, saying, "Ross, they ain't ready!" Our hearts are VERY HAPPY. Also, we wish we were THAT fan. Here's to more Ross and Noah bonding moments!